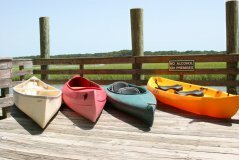 Canoe rentals and hybrid boats are available at Jarvis Creek Water Sports as well. 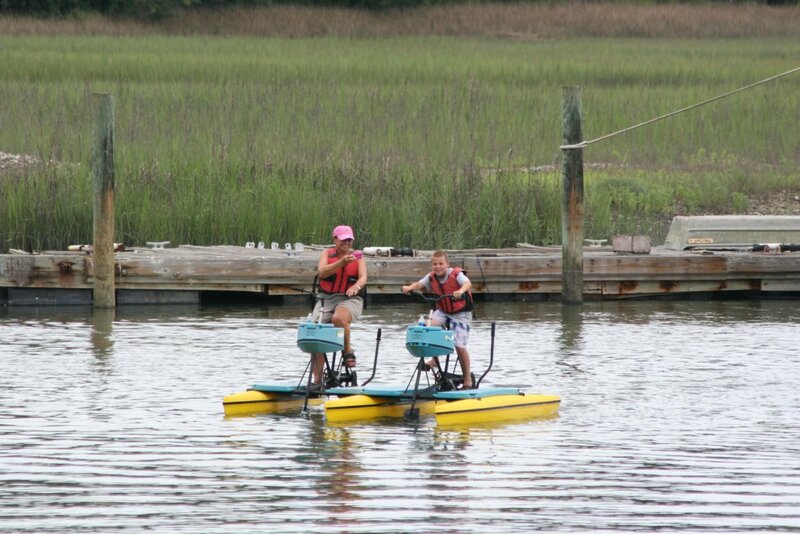 They are great from family use to fishing boats since they have a wider beam providing more stability. Kayak / Canoe hybrids are a mixture of features between the canoe and kayaks and which features they mix is up to the boat manufacture. 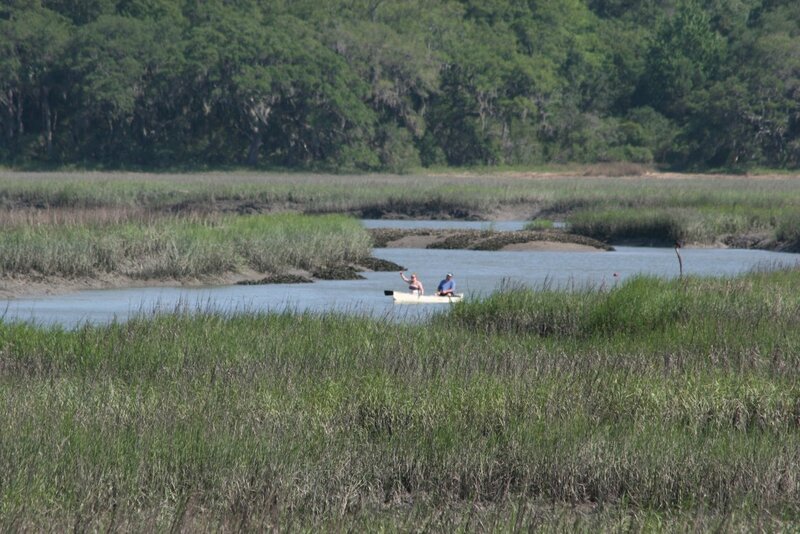 One of the newest hybrids which we carry is the NuCanoe. The NuCanoe is wide like a canoe but low in the water like a kayak. 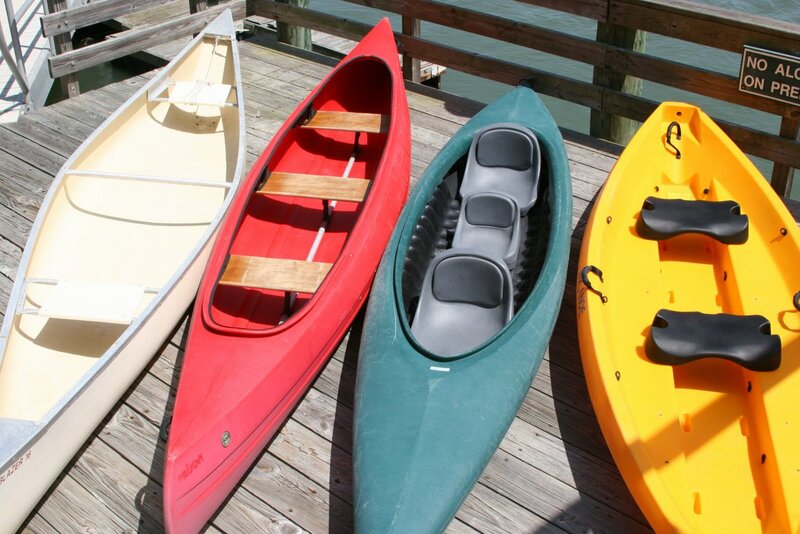 The other things which hybrids offer sometimes is modular-ability and seat placement in different setups. 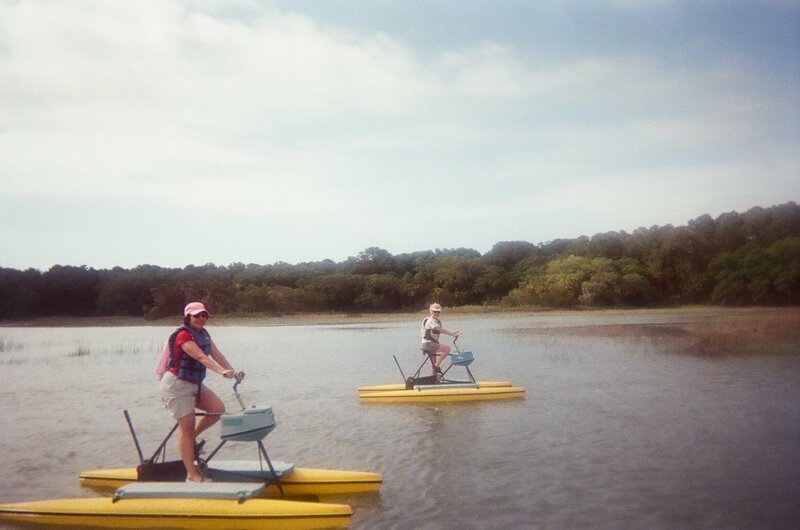 They can be used as a single person boat, a two person boat or two adults and a small child. 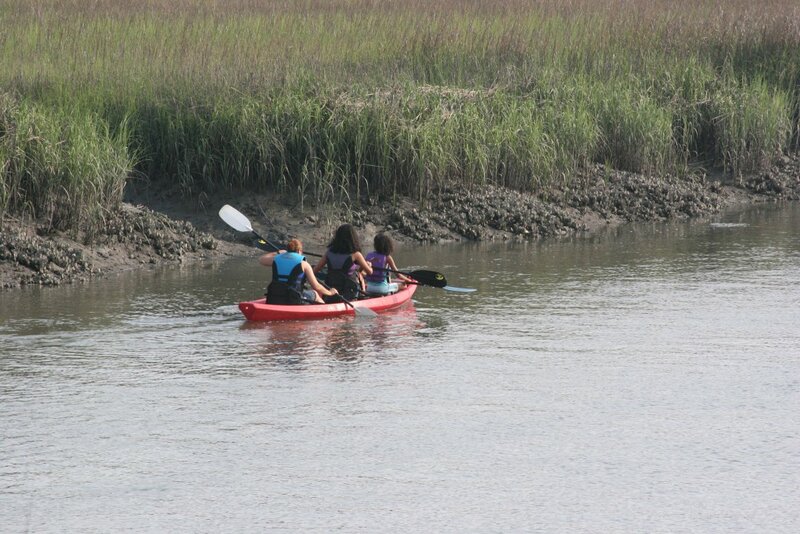 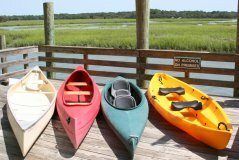 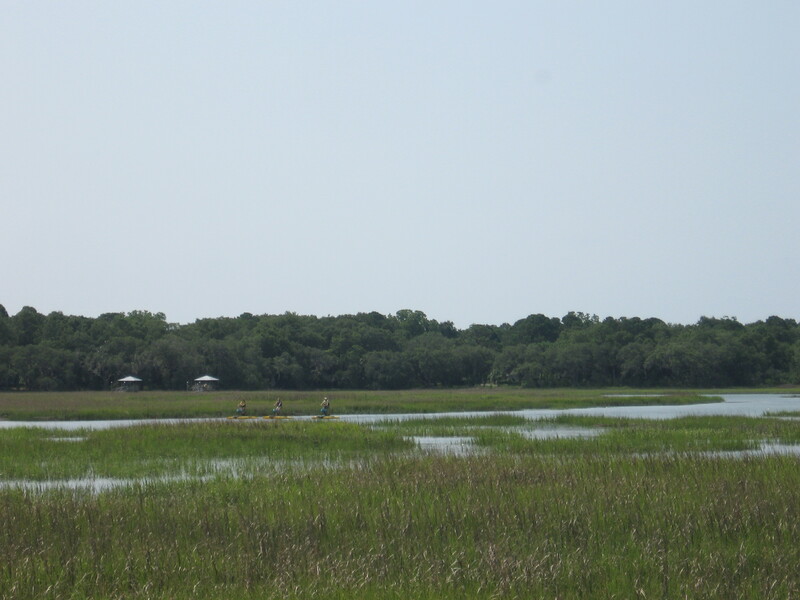 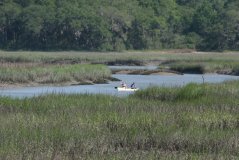 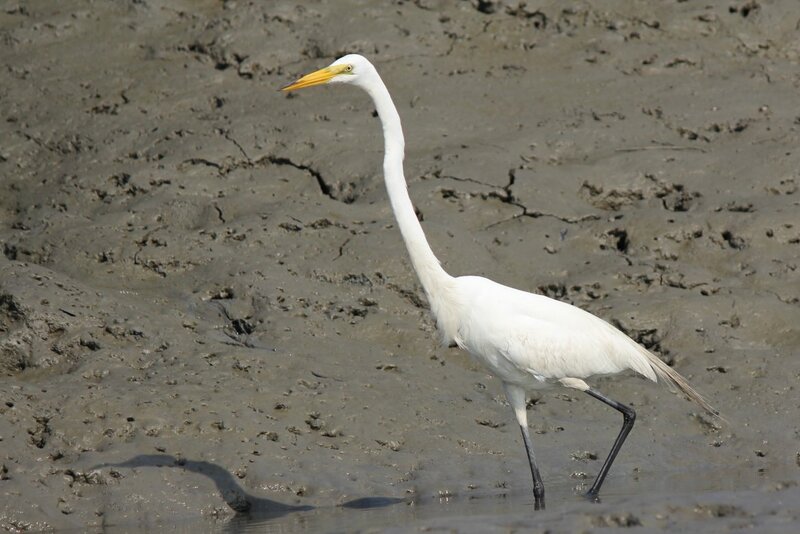 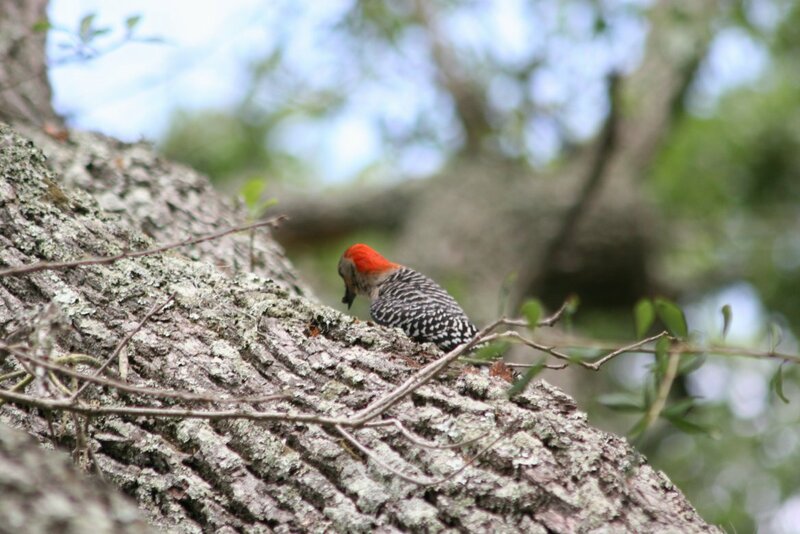 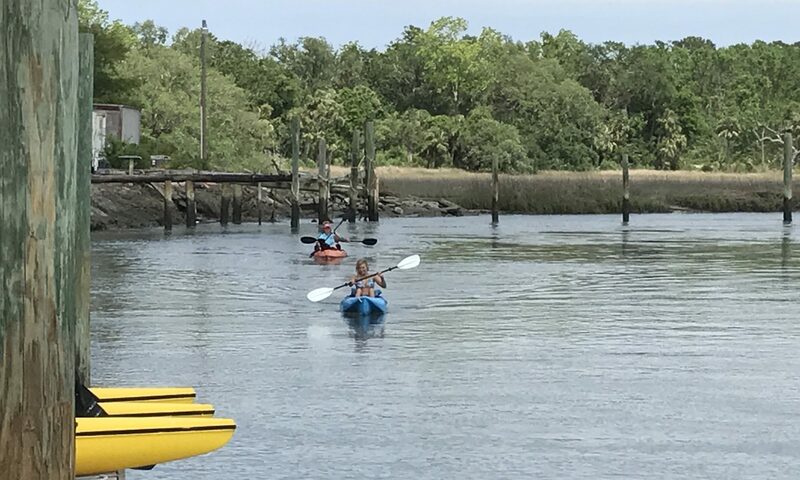 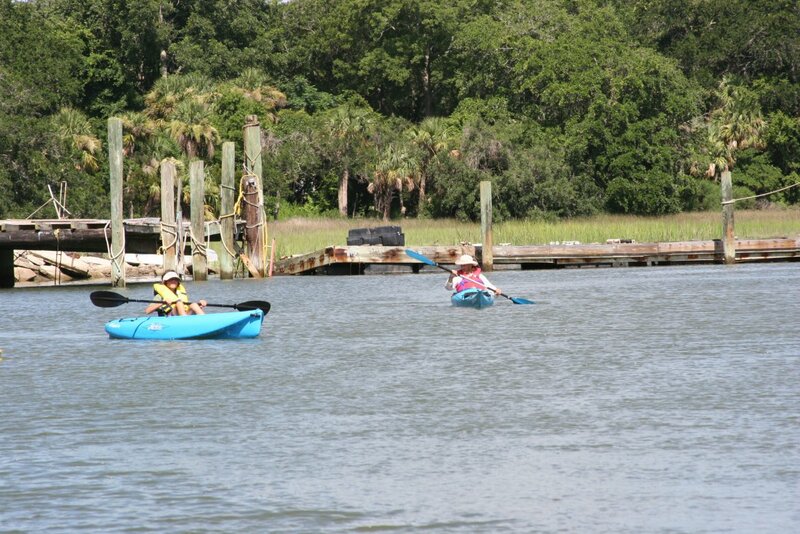 Hybrid and Canoe Rentals are popular in the Hilton Head Island areas like Palmetto Dune’s lagoon system, some of the tidal-creek and low-country brackish water areas out by Hwy 170. 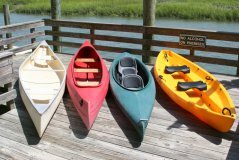 Hybrids such as the Nucanoe, usually have a length of 12 feet and capacity of around 500 lbs and can use kayak or canoe paddles. 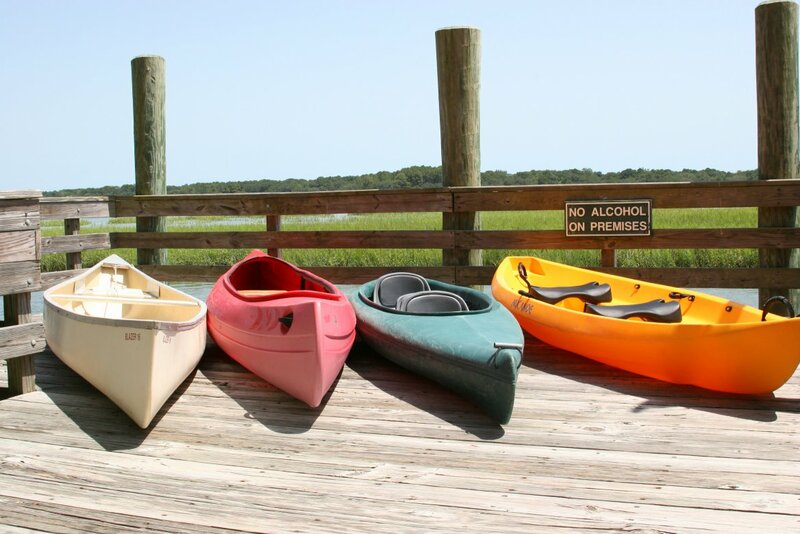 Traditional canoes are usually longer in the 15 to 17 foot range and capacity between 500 to 700 lbs and generally used with traditional canoe paddles. 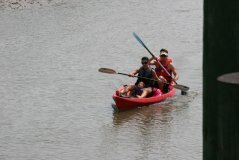 Canoe sizes; NuCanoe is 12 feet and traditional Mohawk canoes, one 16 feet and one 1 7 feet. 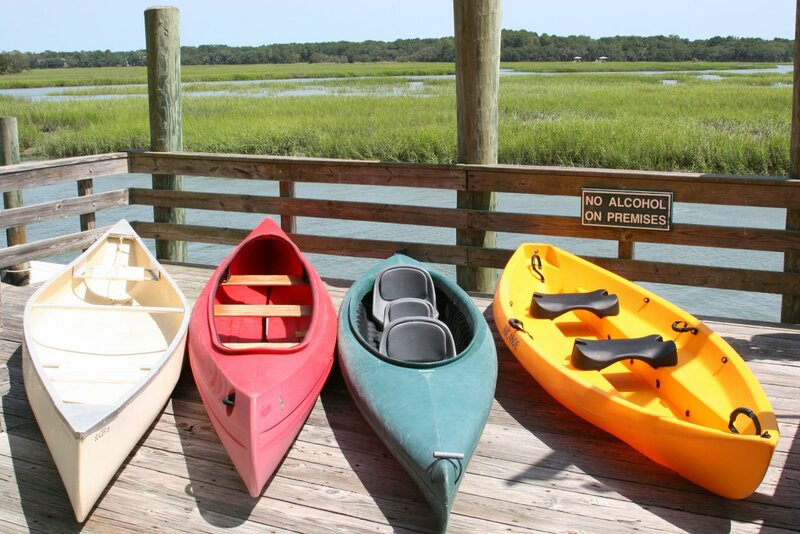 Paddle(s) and life jacket(s) are included with every hybrid and canoe rentals. 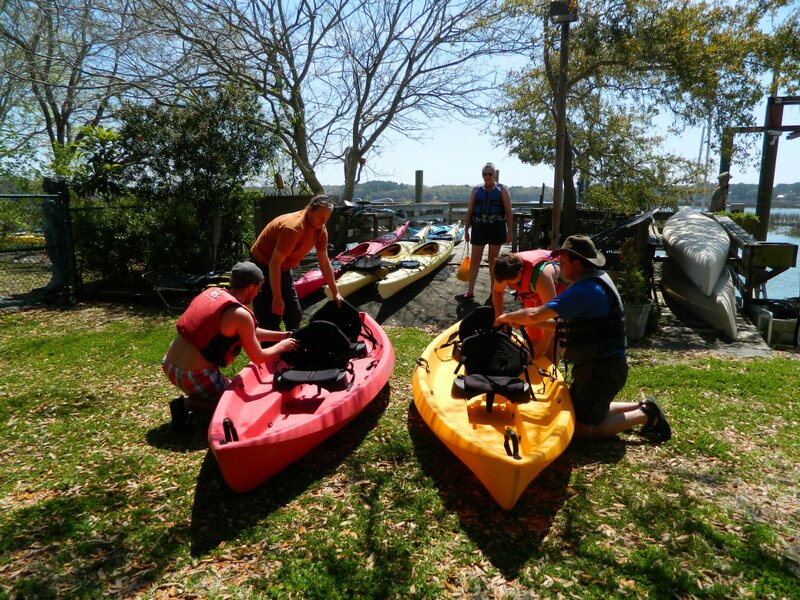 Week rental prices are by appointment for customer pickup. 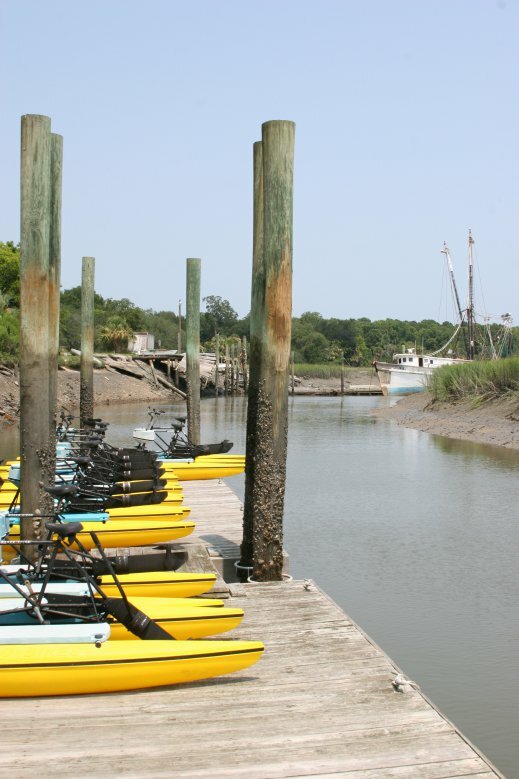 Deliveries can be arranged for an additional cost to an on Island location during business days and by appointment, call for more info 843-681-9260. Below are some pictures showing the types of canoe and hybrid rentals we offer for rent.